This Marine Corps Flag Box – Shadow Box is made from solid hardwood, providing an excellent display for rank insignia and medals with a flag case triangle in the upper left corner, which holds a 3ft x 5ft flag (purchases separately). Made exclusively for memorializing the U.S. Navy flag, this Shadow Box measures 18 in. (W) x 20 in. (H) x 3 in. (D) with raised mounting surfaces. Constructed of only the finest solid oak or walnut, the Navy Flag Display Case has a laminate panel back with hanger, an embossed 2 ½-in. service emblem, crushed velvet background and a glass front. Optional personalized laser engraving is also available. The Marine Corps Shadow Box is truly worthy of holding the flag of the Marine Corps this display case honors those sailors who have revered the flag’s colors for decades. 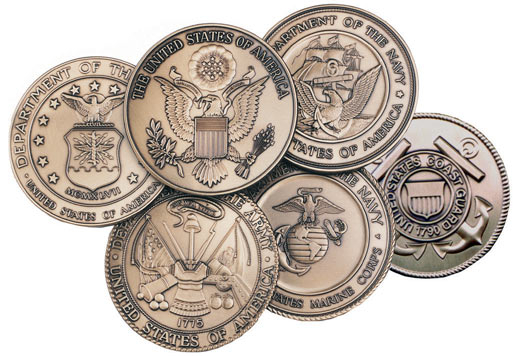 Several naval emblems represented this nautical branch of service, until President Dwight D. Eisenhower sign an executive order in 1957 designating a single Navy emblem. The design was produced by a board of heraldic experts and historians, and displays a three-masted ship with a “Luce-type” anchor, an American bald eagle, clear skies and peaceful seas. The use of sky, land and water in the design symbolizes the Navy’s ability to support operations in the air and land, as well as a well-deserved reputation for dominance at sea. The Marine Corps Shadow Box – Shadow Box is hand-crafted with reinforcing inserts for extra structural integrity, strength and durability. The display case’s acrylic face is lightweight and durable, and it is finished with a high-gloss varnish that treats and protects the wood, ensuring a lasting luster. The Navy Flag Display Case – Shadow Box can be easily cleaned with a damp cloth. Our Marine Corps Shadow Box displays are made with a sense of pride and respect for craftsmanship. A flag display case from flagsconnections.com is a great investment. Our Marine Corps Shadow Box flag display case units are crafted from only the finest, hand-selected hardwoods. 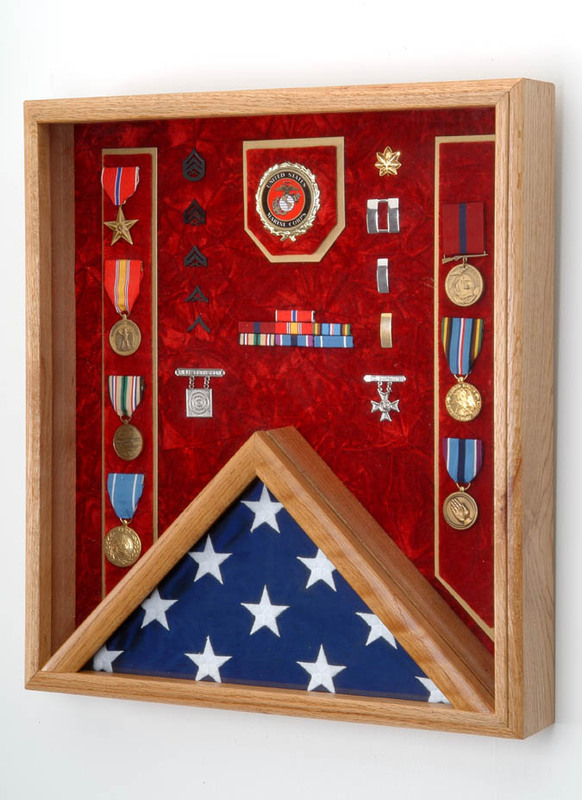 Buying a flag display case from flagsconnection.com means you are buying a top-quality piece, crafted so well and made from such fine materials, it is sure to be appreciated from generation to generation as a family heirloom.